Clean sleek looks with impressive light output and smart features, our all new completely redesigned Serfas True Series Road headlights will illuminate your path. A wrap-around amber LED illuminated side marker projects bright ambient light for added side visibility to traffic and pedestrians. 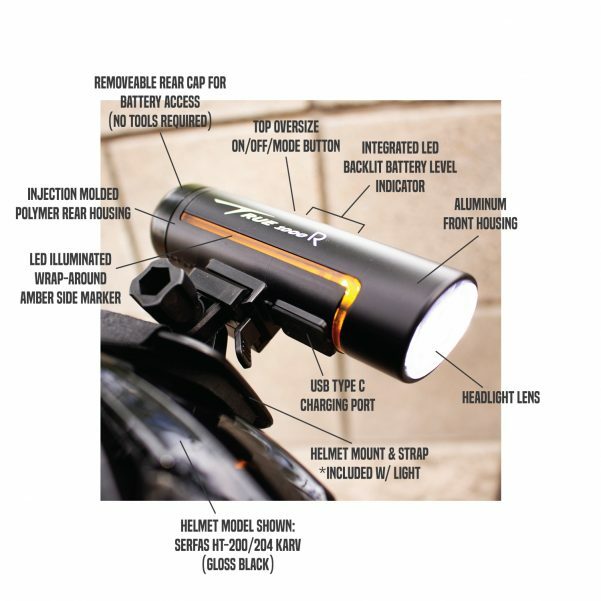 A smart extra large power button with LED backlit battery level indicator ensures surefire operation and convenient battery monitoring so there are no unwelcome surprises out on the road. Rugged looks with impressive light output and smart features, our all new completely redesigned Serfas True Series MTB headlights will illuminate your path. 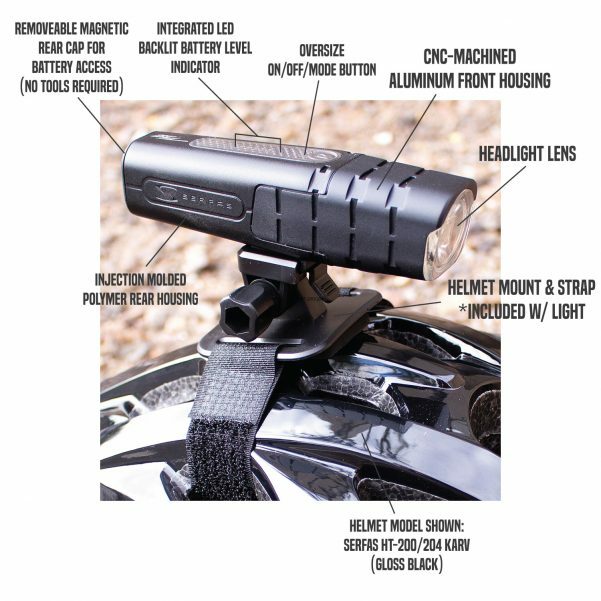 A smart grippy extra large power button with LED backlit battery level indicator ensures surefire operation and convenient battery monitoring so there are no unwelcome surprises on the trail.